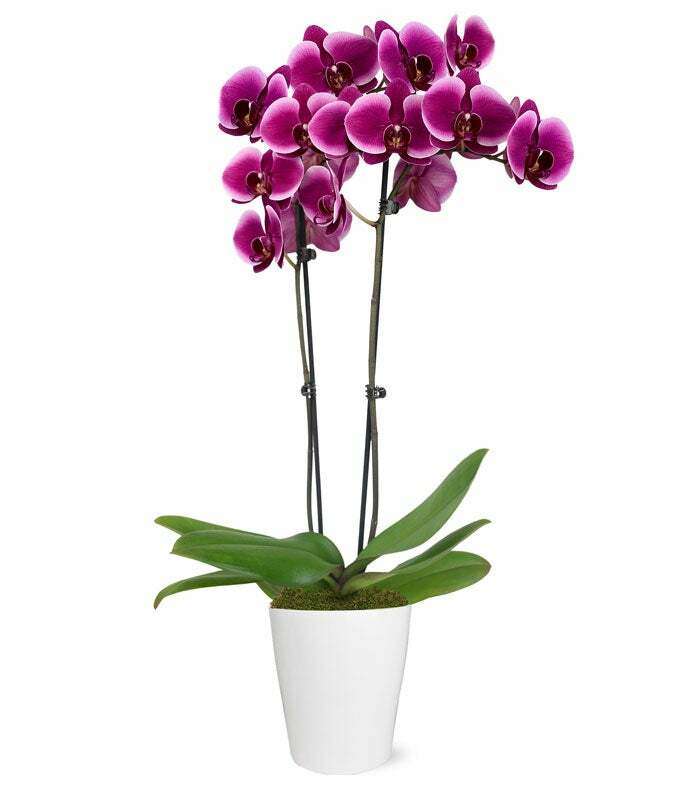 This magnificent orchid plant is sure to brighten your recipient's day, no matter the occasion! This delightful gift is sure to make sad days happy, and happy days happier! Care of this delicate plant is easy! Just place in a bright room out of direct sunlight and away from drafts. Temperatures should remain above 65 degrees Fahrenheit. To water, simply place three ice cubes in the pot once a week!